I'd like to say we survived another week, but good gracious the 6 week spurt has not let up yet. This baby's funky attitude has got to go! Oh course though he has a colossal spit up on me after our 6am feed and when I hand him to Jeremy so I can wipe us off with a bath towel (it was that bad) he was just grinning away at him. I'm still living in tunics and maternity pants. Considering I borrowed all the maternity pants from a friend back home I guess I'll be sending them back with Dad at the end of May. Summer will just have to figure itself out and then hopefully I can wear my regular clothing by August. I feel like once the baby weight is dropped that pants will fit again, however this breastfeeding situation has done a number up top. My shirts don't fit and if I want to just wear jean and a tshirt I am stuck wearing Jeremy's. When do I get to join the Itty Bitty club again? I saw both of these products at Walmart this week and love them both! Doesn't hurt that the packaging is adorable. The pickels were tasty, and the Bolthouse Fruit Tubes are just really yummy fruit puree that's perfect for a lunch box. They have a freeze suggestion on the box, so I did, and it was good. These will be gracing my lunch box when I have to start packing lunch in two weeks. Can anyone feel me on this one? Don't get me wrong, I love nursing. But good grief the only daylight I feel like I get some days comes from the window. If you never made my Paleo Chocolate Macaroons you need to. I whipped up another batch to snack on this week so I wasn't reaching for junk to satisify my chocolate craving. I am really loving our 4moms Rockaroo. I even decorated our room in as much clean and neutral as I could muster up. This rocker/swing though isn't hard to look at and doesn't scream crazy colors in your living room. I actually like the way it looks. Plus the fact that the entire cover zips off makes cleaning so nice when you've got a baby who either doesn't spit up at all or causing everyone in the room to need a clothing change. 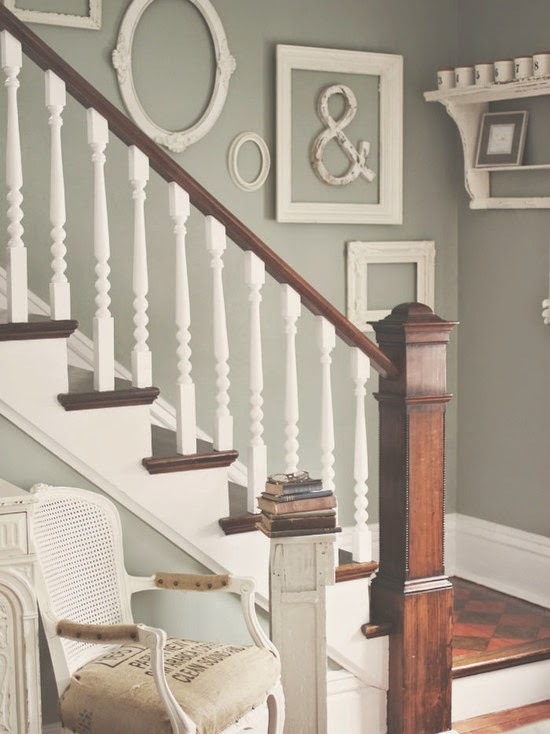 I've been trying to figure out how to decorate the wall to our staircase and I think this is the direction I've decided I'm going. I already have a gallery wall of photos and just don't want to add more photos, it's just too much color for me. So I'm going to start collecting frames from the thrift store and painting them white. I've already got a few that are, and a few that need painting. I keep having to give myself the "work in progress" chat and not feel this "keeping up with the Jones" need to have everything decorated right now. Both of the swaddles we have are Halo Sleep Sack Swaddles. Newborn and the Small size, but there's one slightl issue. and I should get cotton. One month and a sweaty baby later and I've got to go get a cotton one. I am really happy with the Halo product, especially after looking around online at other options. So it's off to Target today in search of a more breathable fabric. 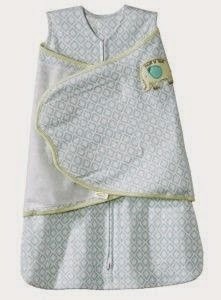 What was your favorite swaddle for your child? I know you are only supposed to do it up to 6 months, so how did transitioning go? I think that's it for my Friday rambling, hopefully everyone has a good weekend and I'll be back Monday for Meal Pinning Monday!